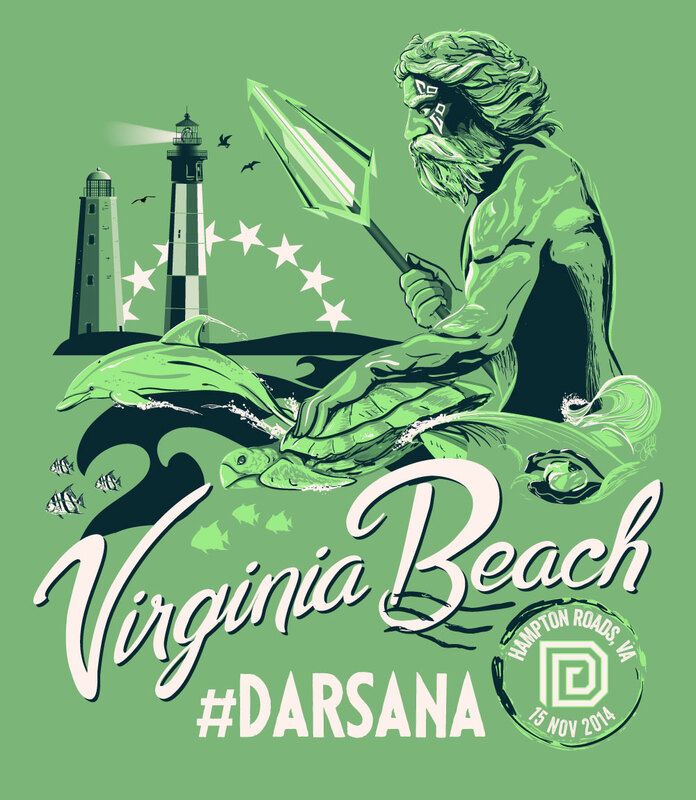 Inspired by vintage travel posters and postcards, I incorporated a drawing of the famous Neptune sculpture at 31st Street & the Boardwalk with the iconic dual lighthouses at Cape Henry for this event t-shirt. A few hidden references to items from the Ingress game were included as well. 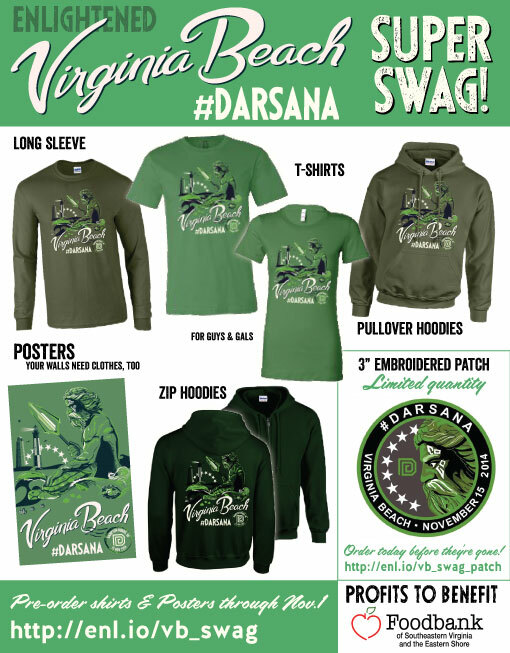 This collection of merchandise was developed as part of the planning team for the Ingress event “Darsana” which took place in Virginia Beach on November 15, 2014. Ingress is an augmented reality massively multiplayer online role playing GPS-dependent game created by Niantic Labs, a startup within Google.  The game has a complex science fiction back story with a continuous open narrative.